What are schemas and how do they influence our self-esteem? 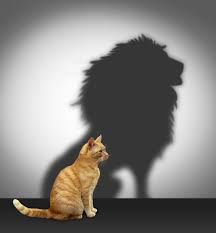 We all know that self-image (SI)—or how we view ourselves (no matter how skewed or erroneous these self-opinions may be) is a great influencer of our self-esteem. It’s also an essential part of our characters—in fact, it shapes who we believe we are. It’s woven into our every word, action, thought, behavior, belief or attitude. It’s a marker of how much generally we like or dislike the man in the mirror. Psychologists tells us that SI is the mental picture of ourselves, generally of the kind that is quite resistant (but not impossible) to change. It’s a complex mix of perceptions, beliefs, or self-observations and, unsurprisingly— heavily influenced by our individual circumstances—our parents, the settings and the location we grew up in, our ethnic background, and, nonetheless—our comparisons to others. Plus, it’s all filtered through a subjective lens, largely based on our insights of what our “ideal” self should appear to be. All these opinions comprise what scientists call “self-schemas,” which simply denote how we describe ourselves and the various roles we play in our lives. Schemas also help explain why we see ourselves the way we do. Naturally, schemas very from person to person. Plus, certain aspects are more important to us than others and pull a greater weight to our self-opinions and our sense of self-respect. What’s of importance to grasp, though, is that schemas hold a significant power over shaping our opinions and evaluations, and hence—our self-esteem. Studies have discovered that if a person is schematic on appearances (i.e. looks are very important to them), for instance, he or she tends to exhibit lower SI and self-esteem than those who are not. Alternatively, individuals who form a self-schema of a person with good exercise habits will tend to exercise more frequently. Our overall SI then is a collection of our multiple schemas (which, for clarity, is not the same as multiple personalities! ), which include how we assess ourselves in terms of various dimensions as skills, abilities, physical features, occupation, etc. It’s also worth noting that SI is more encompassing picture of ourselves than only body image, which is how we perceive our bodies and looks. Clearly, unfavorable schemas evidence low levels of confidence. But a negative self-image can do more damage than to just make us feel down. Because it’s the barometer of how much we value ourselves, it’s often the main foundation we use to determine our overall worth as human beings. Given its importance to self-esteem, the big question here is: how can we improve an unfavorable SI? Of course, the most straight-forward answer is to improve our self-schemas—that is, to start thinking of ourselves in a different, more positive way. For instance, refrain from using negative self-definitions as: I’m overweight, I’m stupid or I’m ugly. These are not helping us improve in any way. Rather, think in terms of perspective and future goals—are few extra pounds really relevant to pursuing a career in…teaching, for instance? Perhaps not. But getting better grades in school may be quire pertinent. So, correctly prioritize your schemas’ importance. Of course, we all want to feel good about ourselves and that’s a significant aspect of self-respect, and we should absolutely aspire to self-improve However—we should also not beat ourselves up too hard if we don’t look like our favorite movie stars. Because the ‘looks’ schema may be surpassed by other more germane to our future attributes. Another way to enhance our SI is to spread broadly. This idea is presented in the so-called “Self-Complexity Theory” (SCT), which focuses on how we choose to define ourselves. For instance, we all have different roles and traits, such as a mother/father, daughter/son, professional, wife/husband, introvert/extrovert, vegan, runner, etc. The theory calls these “self-aspects” and states that the more categories we utilize to describe ourselves, the greater our self-complexity. And the greater our self-complexity, the better it is for us and our self-esteem. This is how it works. Let’s say we define ourselves as a mother, business woman, sister and a friend. If a negative event—a bad day at work or a divorce—affects one of our aspects, given that this aspect is a part of the overall constellation of our self-dimensions, the impact on our overall self-esteem will be lesser. It’s a simple principle, as Dr. Linville—the psychologist behind the theory— explains it: to avoid serious hits on our self-esteem, we shouldn’t put all our eggs in one basket. But for the above scenario to work, however, the concepts we use should be independent—to prevent a spill-over between the pieces, which will neutralize the advantages of having a broader self-definition. Self-complexity, the theory advocates, develops through experiences—that is, the more diverse events and situations we collect, the richer our characters and the more heterogeneous the way we think about ourselves will be. Therefore, our differences in self-complexity are based on the dissimilarity in our backgrounds and personal histories. Changing the way we think about the man in the mirror is not an effortless task. It requires certain time investment on our part, a desire to better ourselves and a dose of persistence. But even more so—the successful story of improving our self-esteem by enhancing our self-image starts in our minds, within ourselves. This means that we have control over who we chose to become and what image we elect to project to the world. If we see ourselves, or assign to ourselves schemas such as week, unattractive, unsuccessful, these are the traits others will assess us on. Re-defining our schemas can make a great difference. We can opt to either be the villain or the hero of our own life. And the beautiful thing is that this choice lies with us.